Katherine Tassmer assists with an array of patent and trademark litigation matters, including pharmaceutical litigation under the Hatch-Waxman Act. She also has experience assisting with post-grant proceedings before the United States Patent and Trademark Office Patent Trial and Appeal Board. Katherine is familiar with all stages of intellectual property litigation, including through trial, and is knowledgeable in electronic discovery. 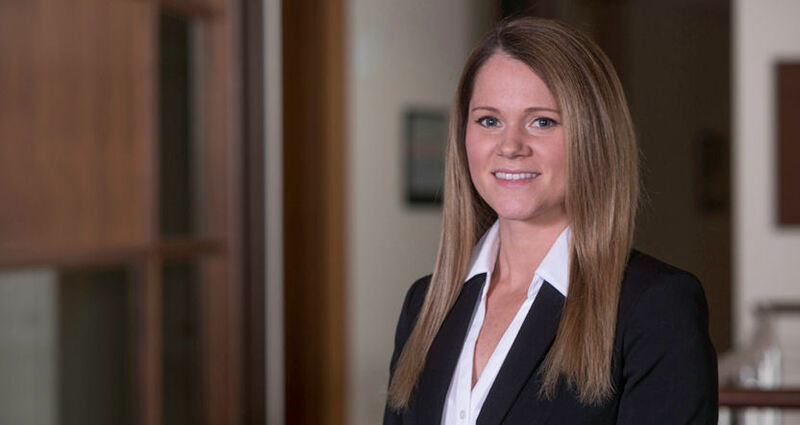 Prior to joining the firm, Katherine was employed in the energy sector with an engineering, procurement, and construction company, and was involved in constructing commercial wind and solar farm projects throughout the nation.